Hi Everyone, I just got back from Cancun after a long needed vacation on April 5, 2018. I was pleasantly surprised by 2 reviews of Rob Vincent and his work, one from last year and just recently. I post them as is without further commentary. Thank you all! Rich, thanks for all of your help and patience finding the right guitar for me . Sorry for taking so long for the review. The Robert Vincent 175R just keeps sounding better and better each day. The guitar is so well balanced with such a full sound it is really hard to put it down. When I play it , it sounds like it’s singing back to me. I can go on and on but I won’t. I’m sure you get the picture. I talked to Robert Vincent and asked him to lower the action a bit, he was so informative and friendly and told me to ship the guitar to him, and I did. With no charge Robert did some tweaking and tuned the guitar up for me . When I received the guitar it was silky sweet. I don’t think I will ever let this one go. Thanks again for all of your help, and I would definitely advise anyone looking for a classical guitar to try one of his. I have Robert’s #171-R which I bought from Rich in November. It’s a wonderful guitar. I drove down to Rich’s with a very nice Hauser style guitar by a very good builder, (which after trading to Rich, he sold within a week) and a guitar built in Valencia in 1957, which had the Spanish sound I wanted, but has some flaws, which I still have). This guitar by Robert has that Spanish sound, which he knows and has been able to capture. What does that mean? I can only explain it by how I try to interpret music with a guitar. I want to sculpt the phrases, the phrases are statements, as a person singing. With Robert’s guitar, changing timbre doesn’t just modify the voice, it creates a new voice, like the alto entering from stage left – where did that come from and how did they break my heart? Many good guitars have beautiful voices which you can modify by timbre and dynamic, but a great spanish type guitar like this makes each variation something new, it’s uncanny. My guitar teacher, who is 69 and has made a career of teaching, seen and heard many fine guitars, old and new, he plays and has recorded with an 1928 Esteso loves this guitar, and thinks Robert one of the best builders of this generation. I don’t have his experience, but it is a great guitar. Robert has vision, he knows what the sound should be and has been able to express it in each guitar. (another student has a cedar top – very nice). The material and workmanship are stunning, this guy is the real deal. Please see all of our offerings from Robert Vincent – he is truly a dedicated and talented luthier, one of the sweetest guys you will ever meet. Todd is a great guy who took a shot and purchased a Kenny Hill Performance Classical Guitar #3897 which is a 7/8th size 630mm in Cedar. I know it’s a great guitar, but you have to play it to understand to truly get it. The Hill arrived Tuesday at 10AM in perfect condition. I must admit you live up to your claim of taking care of your customers. The shipping…the extra accesseries…the emails and tracking etc…has definitely made this the best online guitar purchase of my life. Thank you so much for being one of the few good guys remaining on this planet. As far as the guitar is concerned…it’s a dandy. First double top I ever played. The response is amazing. At first I wasn’t so sure but it seems to be growing on me. It’s definitely different than anything I’ve ever played. On another note…about 2 weeks ago I purchased your Solo Works Vol. 1 because I liked the music you play on your guitar demos. This is another positive about you. The recordings are the most accurate sounding of anyone. Most places offer no sound demos to actually hear what you’re supposed to buy. You end up on you tube watching some idiot that can’t actually play a guitar recording it on his cell phone. Usually in his bedroom that looks like a teenager lives in it. Cordoba has good recordings also. The Tavi guy that performs them is awesome. Anyway….the song Diana’s Playtime in tab isn’t in your book I bought. It’s listed on the back cover…SCGT_1050…I tried to purchase it along with the guitar but when I entered the numbers in the search it showed not found. Is it available for purchase? Here is a wonderful email from Beat Pfluger of Switzerland. 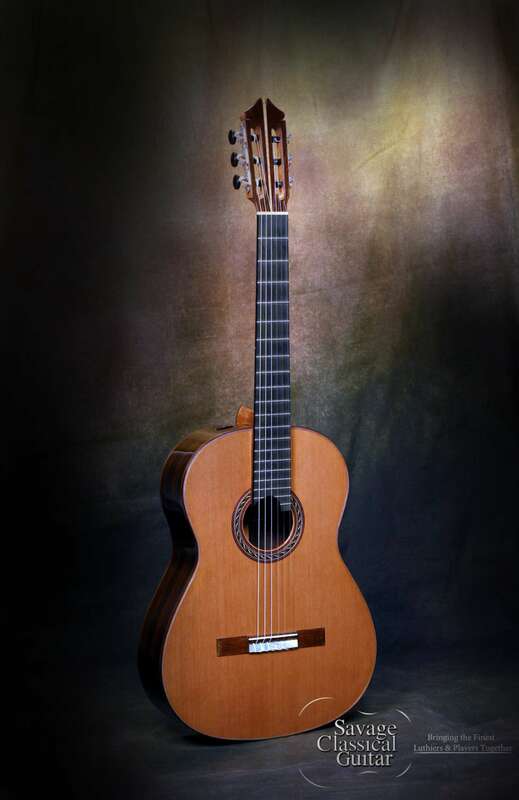 He ordered numerous accessories and books besides the gorgeous 2015 Max Sipe Cedar classical guitar from our shop. It took a day to put together, but it would seem, we did good and Beat is very happy. Max builds a sweet guitar. Beat loves it. What more can you say…Awesome! from you, time to give you a feedback. handling my order and questions in a smooth and easy way! Spruce. Thank you for sharing the information about the Sor Op. 35 no 17 D Major. Otherwise i have to listen many many times and figure it out by myself how to play ;)…..
a break from your work too to relax and spend some time with your relatives. Wish you good health and good luck in 2016! The guitar is safely in its new home. I want to thank you for your kind attention, and also for all the hard work you’ve put into your business. Your website is in my opinion the standard toward which your competitors should strive. It surely comes as no surprise to you that the instrument far exceeds my expectations. Pieces I’ve struggled with for years are now within easy reach (I’m accustomed to a stubborn 660+ scale Kazuo Yairi c. 1970), and the wide spectrum of tone colours offered by this guitar makes the effort infinitely more rewarding. At 59, it’s a distinct pleasure to feel that inviting new roads can present themselves, and I’m grateful for the part you’ve played. By the way, the U.S. destination we used (CBI) was very helpful. I recommend it to any of your Canadian customers who find themselves in similar circumstances. Thank you for the bag of goodies as well, it is most thoughtful. Eric is a really nice gent, where we were able to figure out a trade for him that worked out well for both of us. He found a great guitar from Max Sipe that fit the bill of expression and musicality with excellent projection. His gracious note is below. I received the guitar today. I love the smell of spruce. Thanks so much for this trade. The guitar is fantastic and think it will only get better with some playing time. The care package is awesome too. Thanks again. This was a delivery to Canada for a nice gent who wanted a great case for his precious guitar. Looks like it did the job. Sweet! the BAM high tech case arrived, fits my guitar as a glove and is awesome! Martha is a lovely woman with excellent taste in guitars. 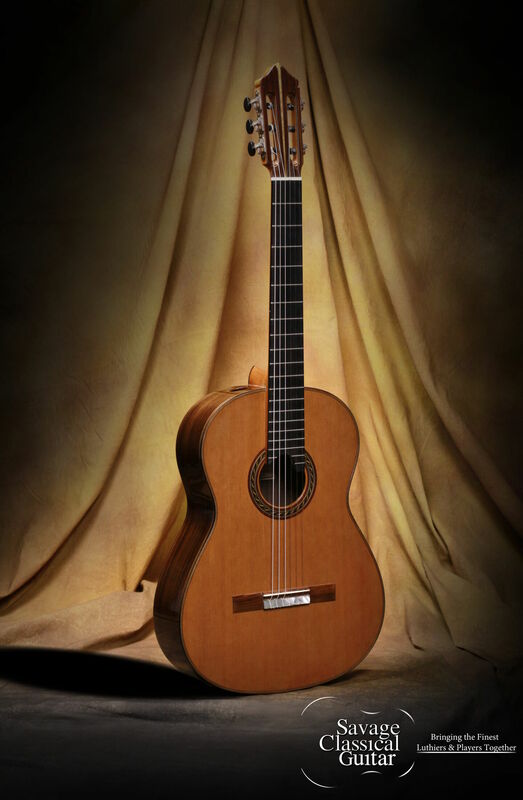 She was looking for a period instrument and this Lacote by Manuel Adalid fit the bill. Her short and sweet note is below. I had a hard time putting it down to write this note! believe it, 7-9-14. What are the chances! By the way, your “extras” package is outstanding: humidifier, tuner, strings, nail buffer, etc. purchase of a fine instrument like this really means to guys like me. arises, and Savage Classical Guitars will receive my highest recommendation. The guitar arrived this morning and I let it warm up for a while before opening the case to welcome her into our home. I just finished playing an hour of Bach (Lute Suite #1 in Em) and I think I am in love. Not only is it a beautifully crafted instrument (gorgeous eye candy), it really sings! Plenty of volume, beautiful tone, incredible sustain, bell-like highs and deep, rich basses. Thanks, as well, for all the extras you threw in there! Nice to have an Oasis humidifier, the arm sleeve, tuner, some strings. This was a great and unexpected little touch and I appreciate that you did that. Looking forward to many years making beautiful music with this. This note from a nice gent in Illinois who ordered this incredible guitar. Thank you for helping me to acquire this fantastic instrument. You’re right, anyone who doubts these guitars clearly hasn’t played one. Powerful, sweet, balanced, comfortable–these are some words that come to mind so far. And the best is yet to come as this beauty opens up and matures. See our current inventory of Kenny Hill Signature Series guitars. Usually available in Spruce or Cedar Tops and in 650mm and 640mm Scale Lengths as well. I try to keep them in stock, but it is not always possible. They sell fast.